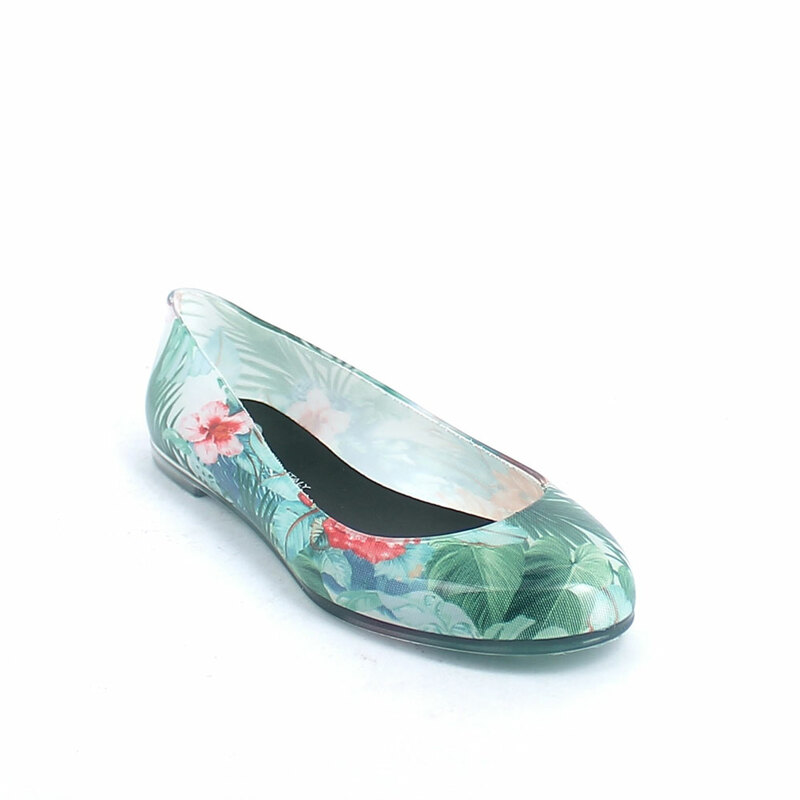 Transparent pvc Ballet flat with cut& sewn "Green Tropical flowers" inner sock and insole pad printing. Made in Italy. Size run: 35-41.